Tag Archive | "big apple"
New York, New York, one of the World’s most famous cities, the most populous in the United States and a mecca for tourism that sees more than 50 million people visit the city that they call the Big Apple, every year. There is so much to do and see in New York that you could spend months at a time there, and still not accomplish it all. 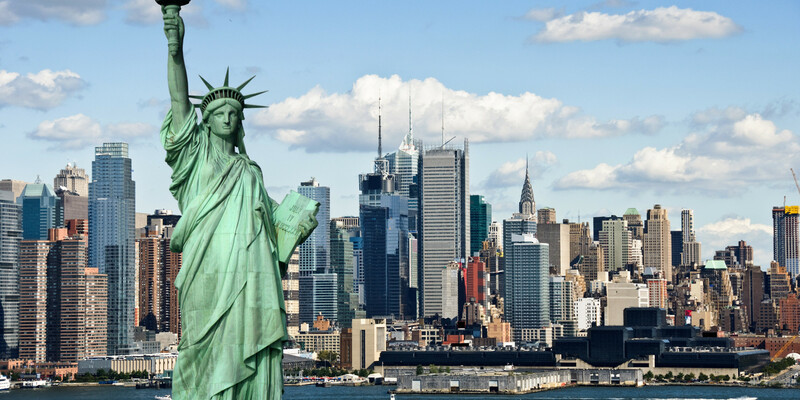 Assuming that you, like the rest of us, don’t have that kind of time and money, then you will doubtless be opting for a trip to New York for just a few days at a time and when it comes to what to do in this iconic city on such a time limit, your going to need to ensure that you see as much as you can. To help out, we’ve whittled down the list to these 5 must-do activities. A trip to New York simply wouldn’t be complete without a visit to its most iconic landmark, the Statue of Liberty, sat on Liberty island in New York’s harbor, this giant statue can not only be seen and enjoyed from afar, but also from the inside where you can capture incredible views of the Manhattan skyline. There are 354 steps to scale in order to get to the crown but once you get there, your hard work will be rewarded with incredible views. Broadway is one of the most famous places in the World to see a musical or a stage show, it offers some incredible theaters and almost all of the huge musical productions that have been born over the years, made their debut on Broadway. Get in early when getting tickets, there are some great websites to book early and get the best prices for your show tickets, head there and buy them before you even get to New York. Being in a chaotic city like New York can take its toll and you should head to the enormous Central Park, bang smack in the center of the city, to take a load off. You will see all kinds of things in this expansive space, people in love, people practicing martial arts, fitness sessions, musicians, artists and everything in between. Central Park is a great place to pass a few hours relaxing in the center of mayhem. After the atrocious attacks in 2001 on the World Trade Center, the site where the two buildings existed were turned into a museum and tribute to those who lost their lives during the attacks and pays homage to the togetherness that was shown by the city during these times. Ground Zero is well worth a visit, to see the tributes, the new building that was created on one of the sites and to reflect on what happened on that fateful day. New Yorkers are very passionate about sport, be it baseball, american football, basketball, ice hockey or soccer, they are crazy for it and even if you don’t love sport then you should still try and go to see one of the local teams, for the atmosphere if nothing else. Few places do live sport with the razzmatazz that Americans do and you should absolutely spend a night experiencing it.